While we are not married (yet), we have been a blended family now for almost four years. Does this make me an expert in blended family parenting? Of course not. What it means, from my perspective, is that we’ve gone through the trial and error of making a blended family work. It’s not perfect, but it works for us. There’s always room for improvement but we’ve also come a long way. 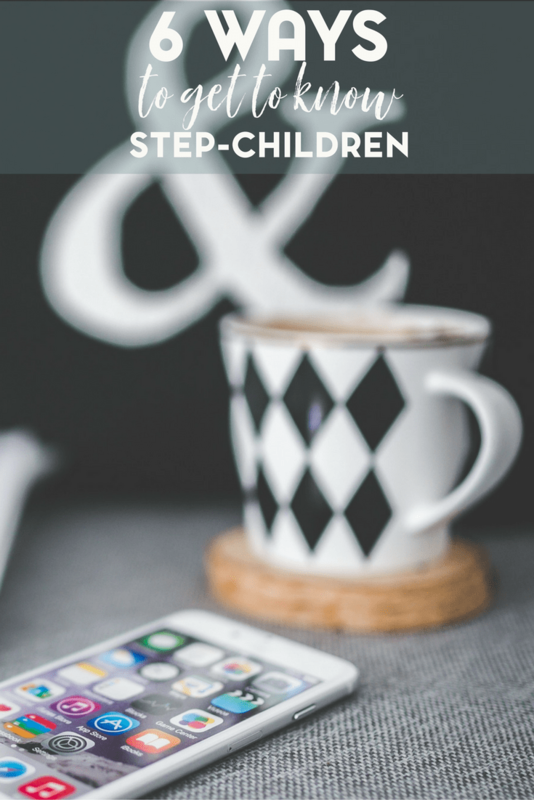 Here are six easy ways for step parents to connect with their step children in a natural way. For us, it all started with creating blended family rules. We also acknowledged that these rules would change over time. It’s also helped that all of the adults have remained as such and treated each other with respect. We all recognize that our actions have impact and affect the children. And ultimately, as parents, we want what’s best for them. Every step-family comes with a set of new relationships to be formed. This can be daunting or a welcome adventure, depending on how you look at it. With every relationship between a step-parent and a stepchild comes a chance to sow positive things into a child and his or her future. It is one of the most meaningful relationships you will invest in during the course of your life. What are some things you can do to get to know your stepchild more effectively? When two families join together as a stepfamily, there are many relationships to be formed. It takes time to get to know someone in a true way. Forcing a superficial relationship for the sake of appearances is harmful in the long run. Don’t force any child to get to know you more quickly than they are comfortable with. Be patient, and let each child lead according to their comfort level. Relationships take time, and those between a step-parent and stepchild are no exception. Don’t try to become someone you are not, just to appeal to your stepchild. Children can almost always discern true character from a fake personality. Chances are that your special qualities will play a positive role in their life in some way. Be yourself, and let your own unique, positive energy shine through. Don’t jump on board with discipline or decision making too quickly in regards to your stepchildren. Before you become an authority figure, you must first earn the respect needed to hold that position. This place can take years to get to, so don’t be surprised if it takes time. One of the biggest mistakes a step-parent can make is trying to become a child’s mother or father when they already have one. Even if a child no longer has their other parent in the picture, it is not your right to try to replace them. Most children will react with loyalty towards their natural parent, and you will quickly end up fighting a losing battle. Always hold your stepchild’s other parent in a place of honor and respect so that your stepchild never feels the need to choose sides. Pay attention to what is going on in your stepchild’s life. Without hovering, make a point of noticing the little things. When your stepchild has an interest in something, go out of your way to bring it up in the conversation or to bring an item home that is related to their interest. Look for positive things about your stepchild that you can compliment him or her on, and focus on those. Every relationship needs both quality and quantity time in order to grow. Seek out opportunities to spend special moments together, but don’t forget to simply make the time to be together even if you have nothing planned. Special moments happen many times when no one is looking for them. 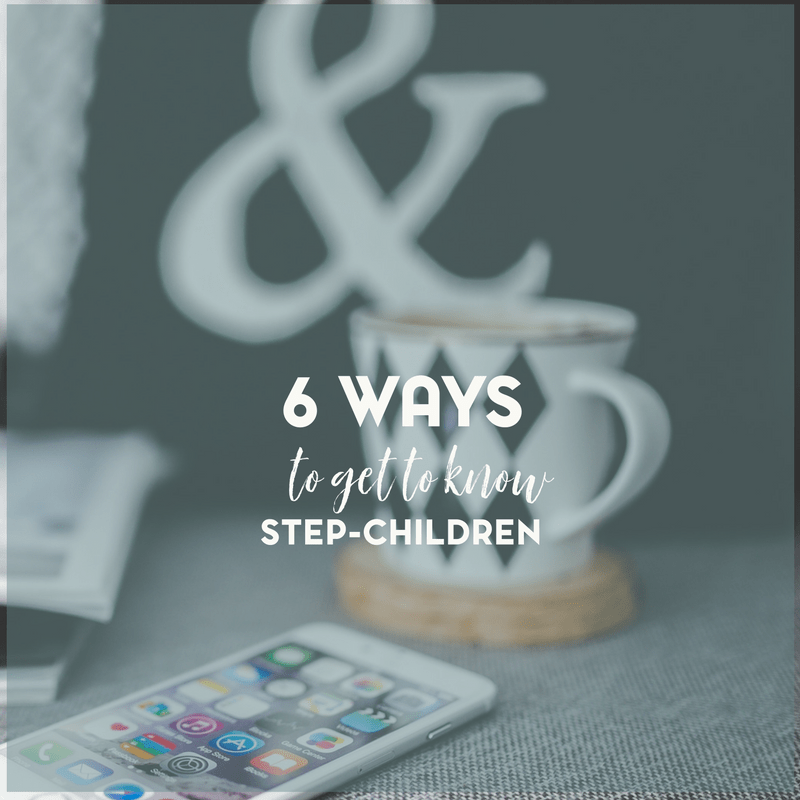 Getting to know your stepchildren is a process that takes time. Find ways to connect in the obvious opportunities, as well as in the more mundane moments of life. Little by little your relationship will grow into one you will both treasure in years to come.